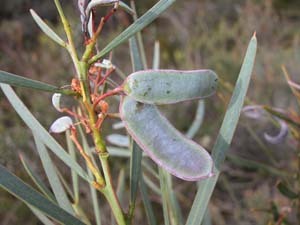 Acacia suaveolens is a common shrubby acacia of dry forests, heathlands and coastal areas. 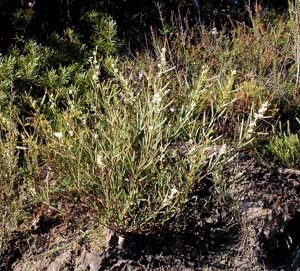 It has a very diffuse habit. 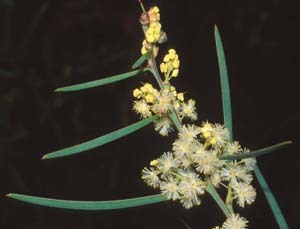 It has long phyllodes with one vein. 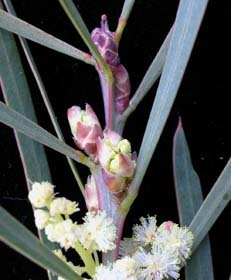 The flowers are in heads that are arranged in racemes, but perhaps the most distinctive feature is that before they expand, these inflorescences are enclosed in overlapping bracts.